Your garage doesn't have to be the dingy, dank and disorganized space commonly associated with the room in your home where you park your cars. Giving your garage a makeover can make it a more inviting and more exciting place to be, and it can help complement the look of the rest of your home. How can you make your garage more of a "destination" rather than a room to park your car and then avoid until you need to drive again, or until you need garden tool or your lawn mower next? On the outside, give the doors a fresh coat of paint, choosing a distinctive color that goes with, but doesn't necessarily duplicate, the rest of the house. You may even want to replace your existing garage door with a new one to give your home more curb appeal. 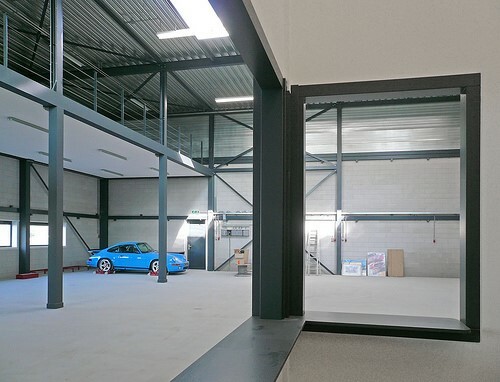 Inside the garage, it is certainly possible to help the room shed its down and dirty, no-frills appearance. You can transform your garage into a clean, functional and inviting space in just a few steps. 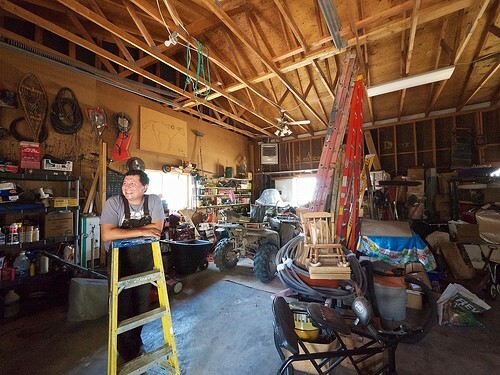 What are some garage organizational tips? Step 1) Start by looking over the entire garage and getting rid of the clutter - target old rags, yellowed newspapers that should have been recycled years ago, rusted tools that need replacing, plastic garbage cans that are falling apart, etc. Step 2) Organize your garage into "zones." Obviously the largest zone would be the one for parking your car or cars depending on whether you have a one-car or two-car garage. Another zone could be for your workshop or work area, a place where you can put a workbench and lots of tools, large and small. Step 3) Look over the floor of the garage, which can easily become filthy. Use epoxy coating to cover up stained or cracked concrete floors. A concrete cleaner can be used to remove stains. Sweep and dust the entire area. Step 4) Find appropriate lighting for your garage.